Autonomous Vehicles: Are They Good or Bad for Drivers? That’s right, autonomous vehicles are becoming evermore popular thanks to Google, Nissan and, more recently, Volvo. Nissan announced earlier this year that they plan to have electric self-driving cars on the road by 2020. Volvo is jumping ahead saying they will have autonomous cars by 2017. The Swedish car manufacturer announced a program, “Drive Me,” which plans to have their self-driving cars on the road in Gothenburg, Sweden, by 2017. Volvo is smart by making this move early, before more car manufacturers catch on. Sure, Google leads the race since they have been in this for years, but Nissan and Volvo will soon be competitors. 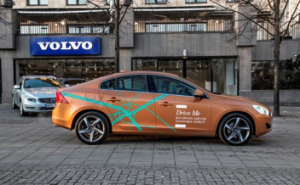 The “Drive Me” program will take place on the 30-mile stretch of road in the Gothenburg city limits. Volvo’s plan to is analyze how these vehicles work in the real world for traffic and fuel consumption. They will also like to see what else needs to be added to make these vehicles safer on the road. Our “future” is coming, whether for better or worse. It’s true that autonomous vehicles seem great and reliable, but what does it say about the human race? Are we becoming lazier with new technology? It’s always been fun to discuss self-driving cars and how we would be able to sleep/read in them, but as we approach the release date, I begin to wonder if it was ever a good idea.